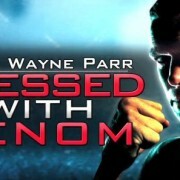 This is the official release of the documentary Blessed with Venom. Welcome to my life story. Thank you Guy Norris, Jim Richards, Bayden Docking. You gentlemen are amazing, thank you so much. Congrats on the doco JWP – it looks awesome.. I am an aussie living in Hong Kong , how can I buy a copy ?